Formula One drivers disagreed about possible strike action yesterday as the FIA raised the cost of super licenses by 1000%. Last year the license cost 1,725 euros (£1,354) plus 456 euros (£357) per point won, increased this season to 10,000 euros (£7,858) plus 2,000 euros (£1,570) for every point won. Renault's Fernando Alonso, a member of the Grand Prix Drivers Association (GPDA) discussed strike action in interviews. However there has been overwhelming opposition to this idea from a number of drivers, including Lewis Hamilton, Kimi Raikkonen and Felipe Massa have ruled out taking part in strike action, making them possible candidates for libcom's celebrity scabs feature. what's a super license? is it a license to drive an F1 car? 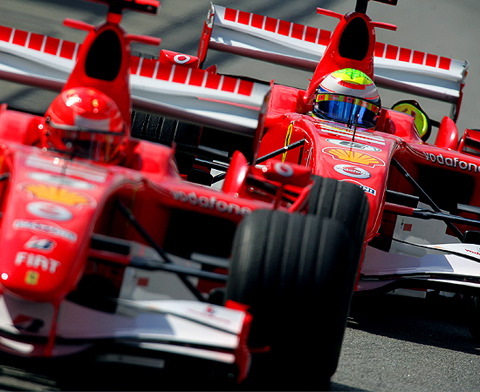 In order to be able to take part in a Grand Prix, a driver must hold a "Super Licence", which is awarded on the basis of his past record in junior formulae and of his having a valid contract with a Formula One team which has entered the World Championship.